A diamond crossover ring. The brilliant-cut diamond, with single-cut diamond scrolling sides, to the tapered baguette-cut diamond accents and plain band. 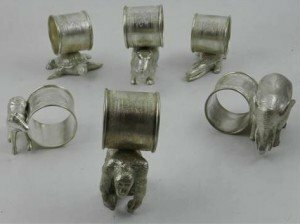 A selection of three 9ct gold diamond and gem-set rings. 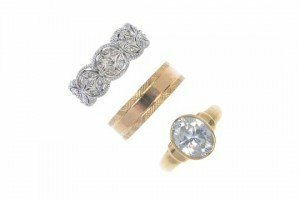 To include an openwork single-cut diamond ring, a cubic zirconia single-stone ring and an engraved band ring. Total diamond weight 0.10ct, stamped to band. Hallmarks for 9ct gold. Weight 12.4gms. 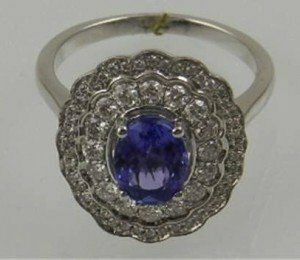 An early 20th century 18ct gold sapphire and diamond ring. 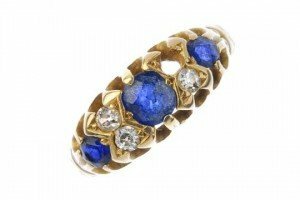 The graduated circular-shape sapphire, with old-cut diamond double spacers, to the plain band. A 9ct gold amethyst and diamond cluster ring. 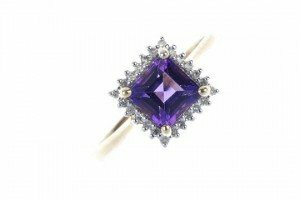 The square-shape amethyst, within a single-cut diamond surround, to the tapered shoulders and plain band. 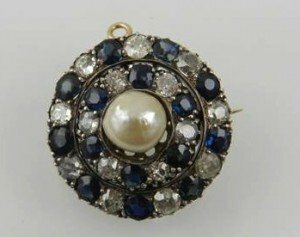 A pair of early 20th century 9ct gold peridot and seed pearl ear pendants. 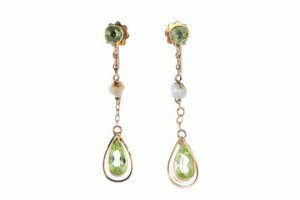 Each designed as a pear-shape peridot and halo, suspended from a trace-link chain, with seed pearl spacer and circular-shape peridot collet surmount. 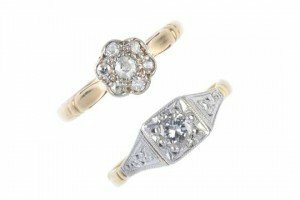 Two early 20th century 18ct gold diamond rings. 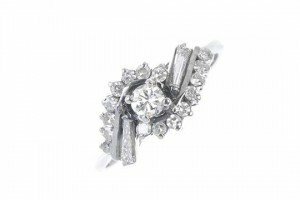 To include a single-cut diamond floral cluster ring, together with a circular-cut diamond single-stone ring with textured bi-colour sides. Estimated total diamond weight 0.35ct. A thirty piece 19th century Victorian china tea service in a floral chintzy finish to include eight cups and saucers, eight side plates, three sandwich plates, creamer and sugar bowl. 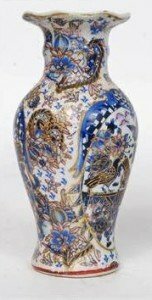 A Chinese famille rose vase with foliate and bird decoration marks with Chinese character marks to verso. 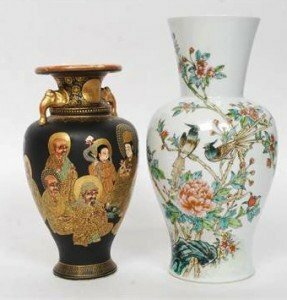 Together with a Chinese immortals vase with twin handles and decorative gilt court scenes. 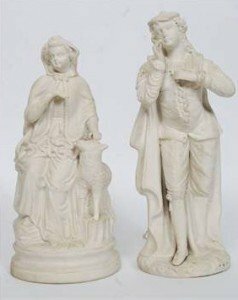 A pair of parian ware figurines to include dandy gent and a maiden with sheep. Both unmarked in the manner of Minton. 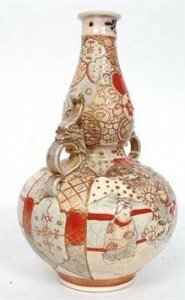 A good 19th century Japanese Satsuma gourd vase. The beautiful shaped body heavily decorated with typical scenes surrounded by ochre red and gilt finished borders. 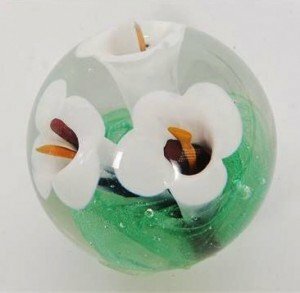 A Langham glass paperweight with white lillies and green leaf control bubble base. 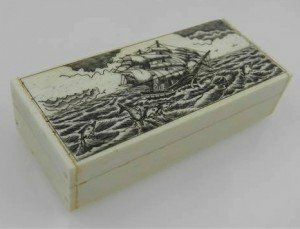 Acid etched name to base. 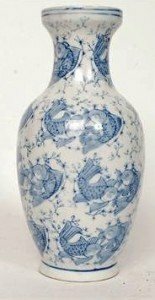 A possibly 19th century, likely early 20th century Chinese blue and white painted vase, decorated with fish. Unmarked to base. A small early 20th century Russian made decorative vase, with makers marks to base. Decorated with birds and florals. Two early 20th century fine china Chinese oriental cups and saucers, each hand decorated with a white floral design. 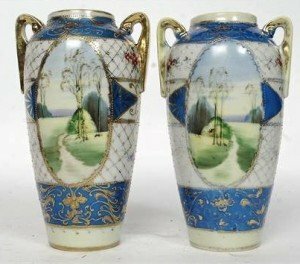 A pair of 20th Century Kinjo china hand painted twin handled Nippon vases decorated with landscape and seascape reverse panels being stamped to the base. A pair of Chinese hardwood and glass ceiling lanterns. The panels with decorative scenes. frames being fret worked to the top.